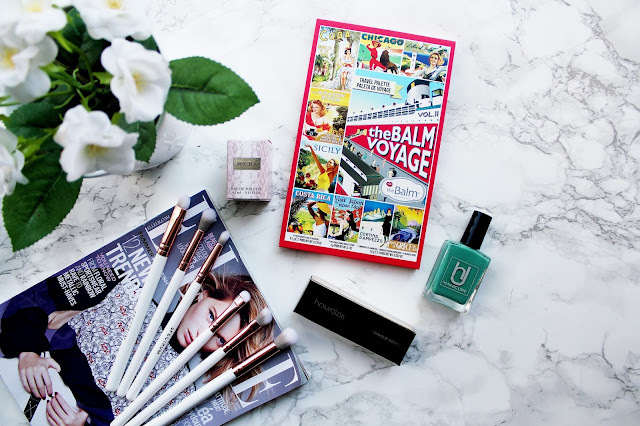 This month’s Cohorted beauty box is my favourite box I’ve seen in a long time. 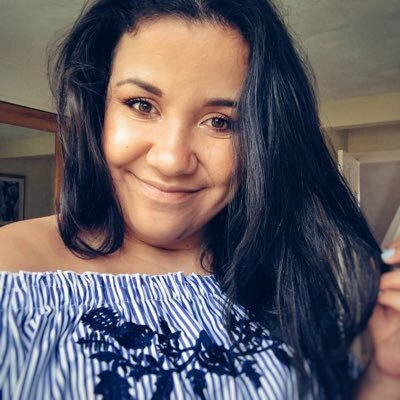 What I like about the Cohorted beauty box is that the products inside are always on the higher end of the spectrum, there are products from brands I’ve never heard of before or products from brands I couldn’t wait to try. 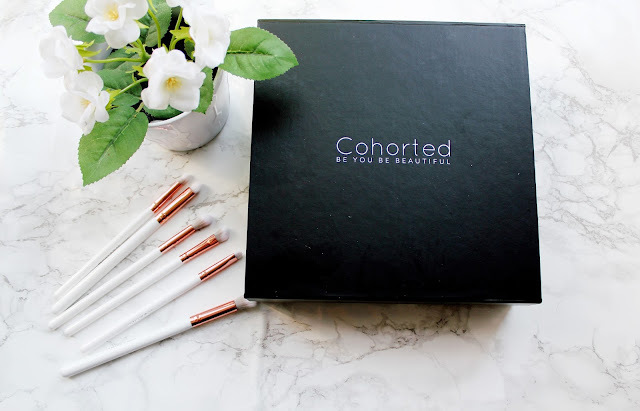 I’ve been a long-time fan of the Cohorted beauty box and they are a beauty box that just keeps getting better and better. 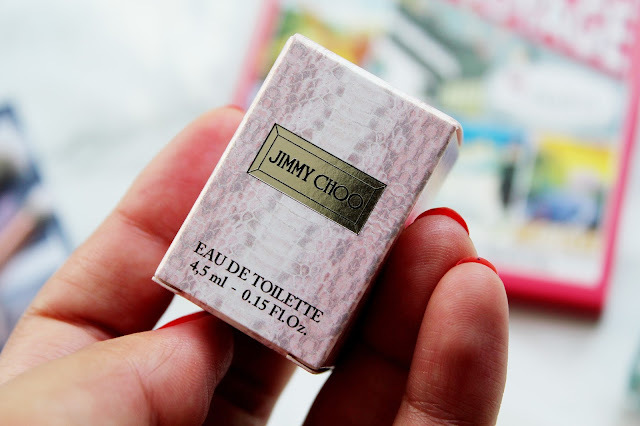 The brands in this months box include Hourglass, TheBalm, HJ Manicure and Jimmy Choo. 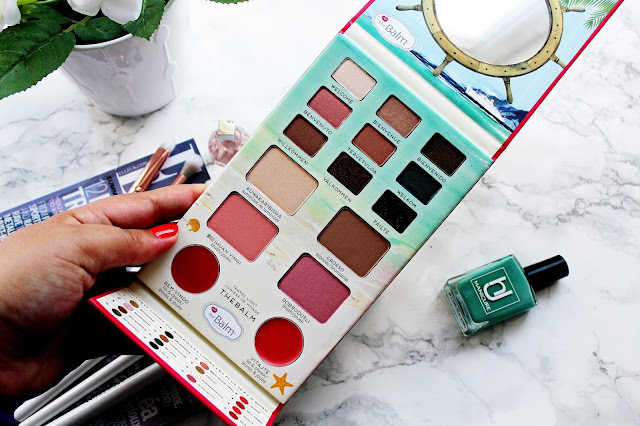 I like the summer theme this box has going on and this palette from TheBalm is worth £37.50 just on it’s own. I think when you look at this palette you’ll agree that this is a great all in one palette. This palette includes highlighter, blusher, bronzer, lip balm and eyeshadow. I’ve done a full review on this palette in the past (you can check it out here) and so due to having a duplicate I’ve created a giveaway for this palette over on Twitter so one of you lucky readers can win. This product in this months box completely stole the show for me. 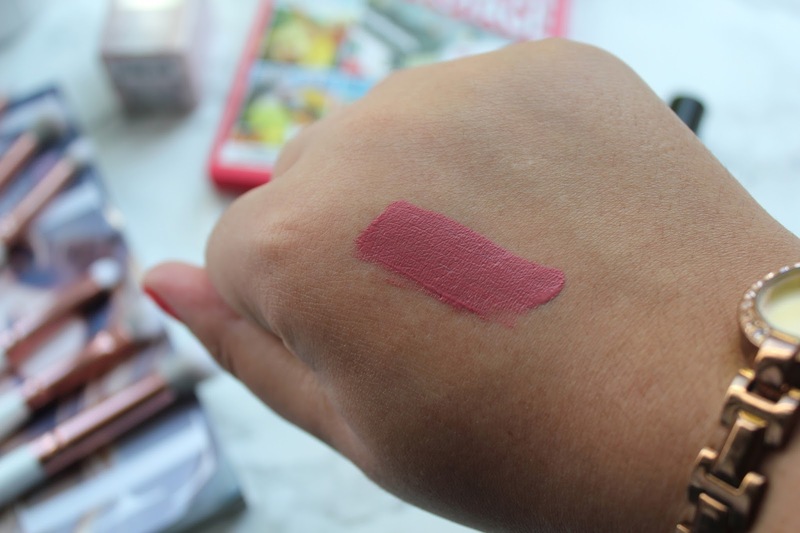 From reading so many beauty blogs about hourglass reviews and I was so excited to see this liquid lipstick in this months box. The shade canvas is a perfect pink colour (with a hint of brown) and it works so well against my skin tone. This dries so matte on your lips and literally lasts all day. I am really impressed with this liquid lipstick and will definitely be adding some of the other colours to my beauty wish list. I really love the packaging of this lipstick and it looks so sleek and high quality. If there’s anything I love doing when I need some TLC, it’s a good manicure. This is a very summery colour and it looks great against my skin tone. I’ve never heard of HJ Manicure is a cruelty free brand and vegan too. Who doesn’t love travel-sized perfumes? I love how easy they are to travel with, chuck in your make-up bag and just how nice they look. I really like the smell of this Jimmy Choo fragrance too. 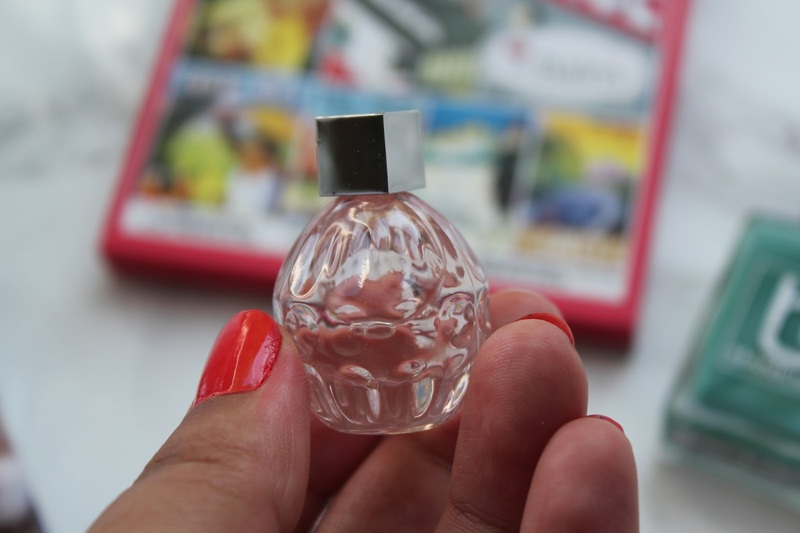 This perfume has notes of crisp green, ginger, tea, rose, tiger orchid and cedarwood. What’s great about this perfume is it’s great for both day and evening wear. Overall I am really impressed with this box. I was disappointed as there were only 4 products, but they are a great selection of products. 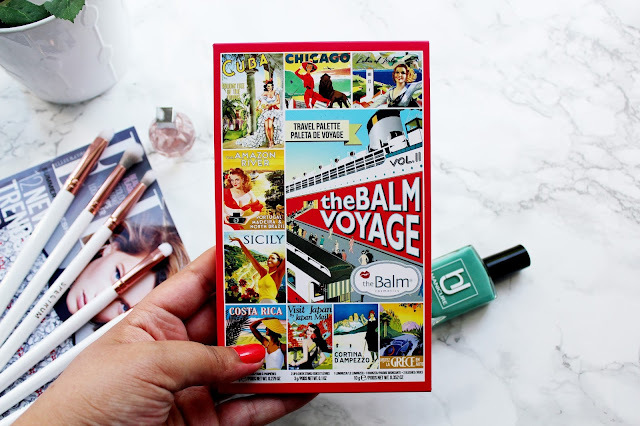 I love how this months box is summer themed with the palette from theBalm, and the bright nail polish. 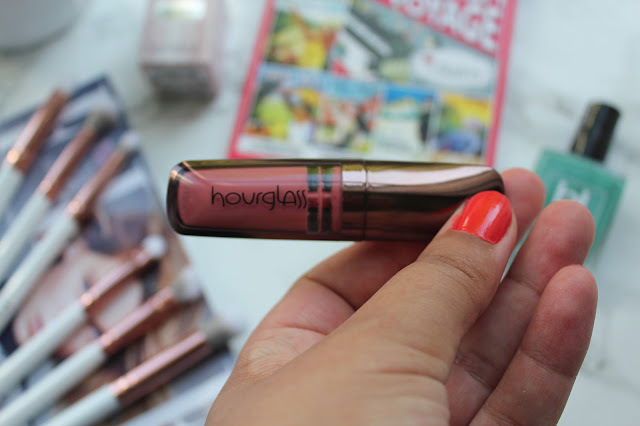 I love how this box has allowed me to try out Hourglass too as it’s normally a brand which is out of reach for me and I’ve discovered a product I love. If you’re looking for a beauty box on the higher-end of the spectrum, this is the box for you. Fab amount of products! I love the Jimmy Choo - I was given a full size for my birthday last year and used it so quickly! !